To be absolutely honest, though, what I fear about programs like this most is the potential to have criticism get too institutionalized, too professionalized, in the sense of acquiring greater uniformity in style and character. The best English music criticism I know, from Tovey and Shaw to Thomson, Rich, Shere and Tom Johnson, has come from people who have more or less stumbled into producing criticism, not one of whom owned formal traveling papers as a critic, but each of whom brought good ears and a unique posture and voice to the task, sometimes hitting their stride intuitively from the start but more often from learning on the job. It would be a shame if all this movement towards formal credentials and professional conferencing and all that were to lead to any disregard for — or even an end to — the accidental critic. Ives on his 140th. Local and universal. Critical and Utopian. Ordered and spontaneous. Sentimental and experimental. Sacred and profane. Landscapes as self-portraits, theatres of deep memory. Taking the freedom offered by isolation to compose the impossible. How can a musician best be a citizen? Also this: the oft-noted parallel between the landscapes of Mahler and Ives is real, out of the same musical-historical impulse, but in Mahler (as in the figures-in-clearings of Beethoven and Berlioz before), we're immobile, sitting in one place listening to the world pass by, and only in Ives do we listeners move through the landscapes as well, especially in the second movement of the 4th Symphony and throughout the Second Orchestral Set. This is a whole 'nother quality of engagement and the implications are still open. Sometimes we (musicians, mostly, but maybe others) think and talk about music, neoclassical music in particular, as "wrong-note music"*, with the idea that behind a piece of music with a witty and/or droll and/or eccentric surface there is some historical source from which it departs. This idea is sometimes a useful way of getting closer to pieces which "work" while doing things "wrong." *Yes, the abundant quotation marks in this item are intentional. 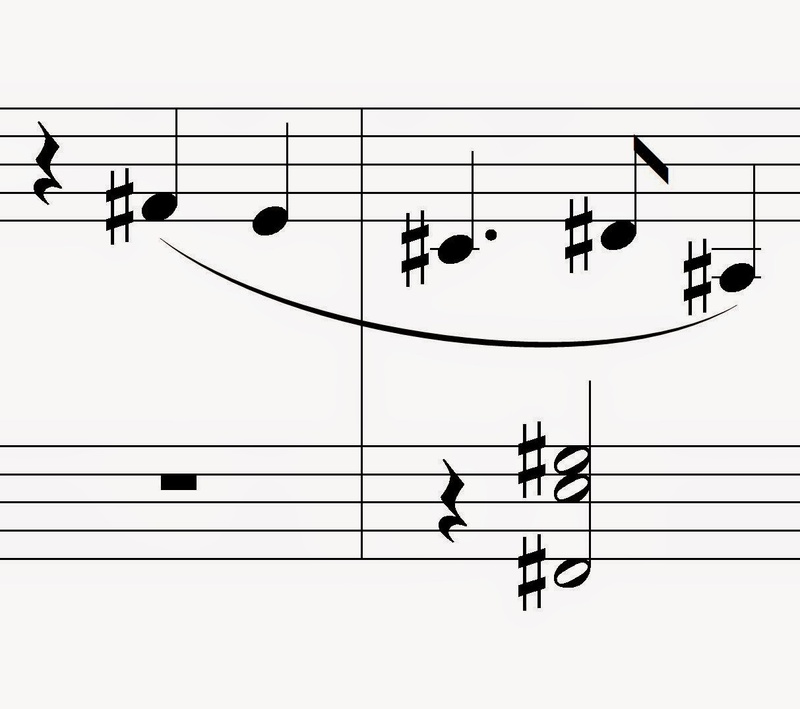 ** I should stick something in here about how Schoenberg's compositional practice, particularly in pieces like this, was less a careful, slow, and formal working-out of the implications of material than a fast, if not frenzied, improvisation on the page, working more from musical instinct than planning and intellect.